A prenup is a document which a couple sign, before they get married, to set out what the financial settlement would look like if they got divorced and to "ring-fence" any assets that one or both of them is bringing to the marriage, or that they may inherit during the marriage. Ideally it is quite a flexible document; a prenup may deal with what would be the impact on the financial settlement of children being born to the couple and one of them giving up work, of one of them falling ill and not being able to work, or of a short, medium or long marriage. Even if you don't have a huge amount of money, should you still get one? The benefit of having a prenup is that it gives certainty and minimises the risk of an expensive fight if Divorce happens. Couples have autonomy to decide how they wish to split their assets, rather than leaving everything to chance. For instance, a rental property may be owned by one person, often looked upon as their “pension” for later life. There may be limited equity in that property, but it provides a good source of income. If Divorce occurs, that property may well be sold and any equity split equally. What then for retirement? Savings and other investments received perhaps through an inheritance, may end up having a similar fate. What should you do if your partner asks you to sign one? Talk through the reasons why your partner feels it is appropriate. Take proper advice from a specialist family lawyer so that your “head rules your heart” and you know your rights. Don't be afraid to ask for a fair deal, taking into account your needs both now and in the future. Understandably this can seem like a daunting task - most people are busy putting the finishing touches to their special day and don't want to be spending time discussing a prenup! Very often, marriages that don’t stand the test of time, involve an element of financial mistrust and disagreement. A lack of financial transparency between a couple, or misconceptions over how assets might be treated can lead to resentment and unhappiness. Talking through financial aspects before you tie the knot, is a good opportunity to go into your marriage with open eyes about what the financial picture is and what it would look like in the event you might get divorced. If your partner is driving the request for a prenup, then your lawyer will be there to advise and protect you. How do you get a prenup? A prenup in England & Wales (note there are different requirements in Scotland) is a sophisticated document and specialist advice is needed to make sure it is tailored to your family requirements. - its terms are fair; hence time must be taken to think about what would be the impact of future life events and the length of the marriage. They can take a few weeks to negotiate, depending on complexity and the negotiating positions taken, so if you are the one pressing for a prenup you are sensible to start the process at least 4-5 months before your wedding date. Costs will vary significantly, though a properly drawn up prenup is likely to cost from about a thousand pounds. A more complex prenup, involving substantial assets, perhaps trust funds & settlements, tax issues and foreign properties may cost more. This may sound like a lot of money, indeed it is. However, how does the cost compare to the amount being spent on your wedding? Also, how does this compare to the cost of working out a divorce financial settlement if it all goes wrong? The price of protection is often only a fraction of these costs. If a couple end up divorcing without a prenup and needed to go to Court to sort out their financial settlement, then the costs of doing so may be tens of thousands of pounds. A prenup is an insurance policy against that sort of eventuality, because you are very significantly narrowing the scope for future claims. Can you sign a prenup after you are married? Yes; this is called a "postnup". 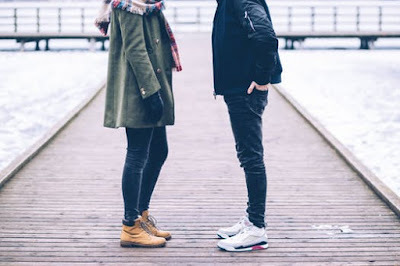 Sometimes couples have a postnup because they start prenup negotiations too late and miss the boat; sometimes it is because one of them is unexpectedly coming into money, perhaps an inheritance or a lifetime gift from a relative. Either way, postnups have the same legal standing if they are properly entered into. However, there is nothing that quite focuses the mind like a wedding date on the horizon! In my experience, it’s far better to get the issue resolved before you tie the knot! 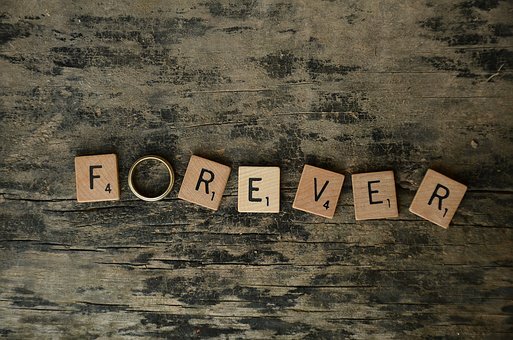 At Awdry Bailey & Douglas we can help you prepare a prenuptial agreement that can stand the test of time. Contact Peter Berry on 01672 518620, or via email on peter.berry@awdrys.co.uk where he will be happy to offer a free until consultation or or visit our dedicated Family Law pages on our website. IS LONG TERM ELDERLY CARE EVER FREE?